In an age when you can’t go on vacation without documenting (and let’s face it, bragging about) your trip on Instagram, Facebook and Twitter, travelers are desperate for a unique, "my friends won’t believe this" experience. And where you stay on that vacation is an essential part of crafting the perfectly shareable narrative. The Internet has also made it easier to research other travelers' experiences ahead of time, easing the fear of the unknown that vacationers may have had in decades past. As a result, growth in boutique hotels, defined as upscale, smaller properties focused on design, technology, local culture and standing out from the cookie-cutter hotel crowd, has exploded in the last decade. According to research firm IBISWorld, the boutique hotel industry, which comprises about five percent of the market, has grown 6.1 percent per year since 2009, and it expects that growth to accelerate through 2019. It’s no surprise then that giant hotel chains such as Marriott, Hilton and Hyatt want a piece of the boutique hotel action, whether it’s by acquiring existing properties or developing new ones of their own. Earlier this month, InterContinental Hotels Group (IHG), the world’s largest hotel brand, finalized its acquisition of Kimpton, a beloved chain of boutique hotels with a fiercely loyal following. Backlash against the merger from Kimpton fans was swift: Many worried that the deal would result in a homogenization of the quirky, stylish hotels guests have come to love. Whether IHG is successful in its venture with Kimpton remains to be seen, but it’s just one more in a long list of attempts by the big hotel corporations to create “branded boutiques” and capture younger, savvier travelers who value style over standardization. Starwood Hotels was the first to get in on the trend, and its launch of W Hotels in the late 1990s has been a resounding success. Later, Hyatt launched Andaz in 2007, and Hilton announced Canopy in 2014. Marriott went all the way with several collections, including Autograph, Moxy and the most recent Edition chain of hotels that’s the result of Marriott’s unlikely partnership with Ian Schrager, the entrepreneur and hotel impresario who is credited as the pioneer of boutique hotels. But are branded boutiques antithetical to the concept of boutique hotels themselves? “The brands haven’t been very good at doing boutique because their whole DNA has been about consistency, scale and saving on cost,” Murphy said. 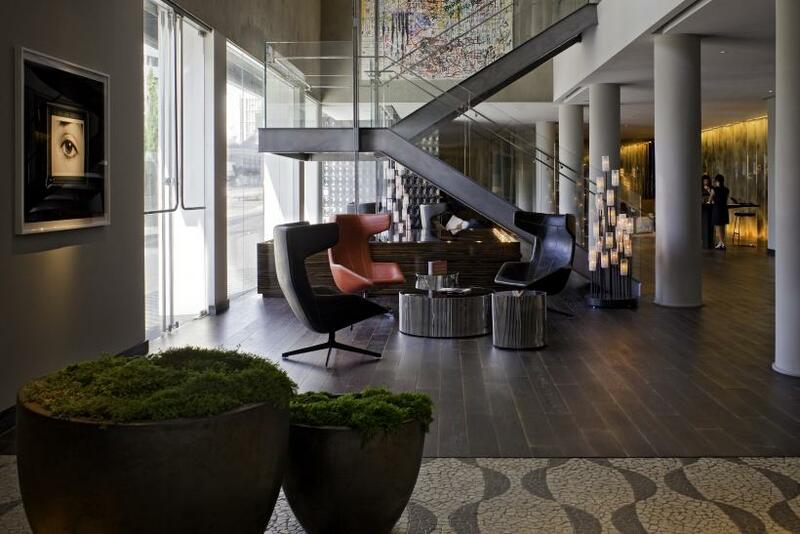 “Boutique hotels have a specific mindset -- they’re not mass produced. But everyone can’t stay at a boutique hotel because of room capacity and also because not everyone has the luxury to afford boutique hotel prices. That’s where big brands can carve out a space.” That can also include travelers who want the advantage of earning loyalty points with their preferred brands. Other boutique hoteliers agree. “Large companies, large-scale chains turning themselves into boutiques, are only bastardizing the business in my opinion,” said Paul Ruffino, senior vice president of Kept Hotels & Resorts, at an industry conference in August.